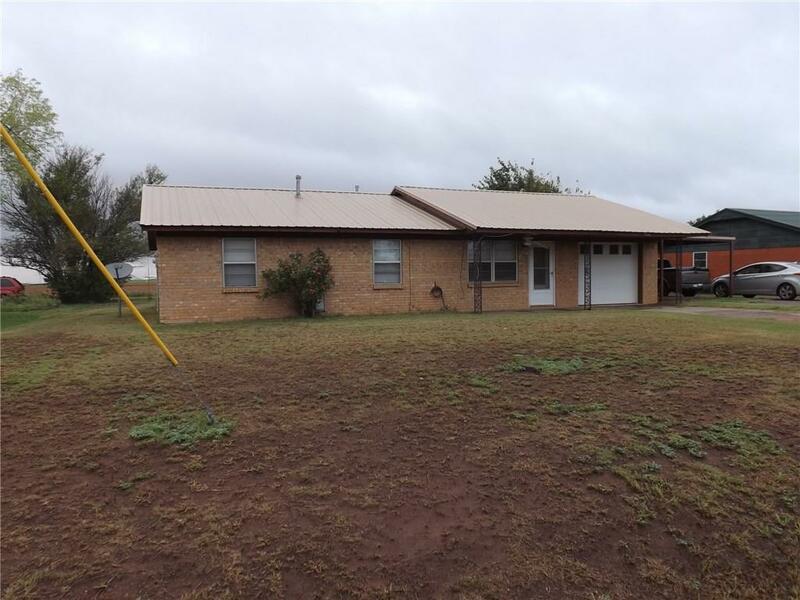 708 E Baseline Road Tipton, OK. | MLS# 835326 | CENTURY 21 Altus Prestige Realty, Inc.
NICE WELL MAINTAINED BRICK HOME WITH 3 BEDROOMS, 1.5 BATHS, HOME HAS ALL TILE FLOORS!. Seller is motivated to sell. Home has fresh textured walls, ceiling fans, blinds , all floors are tiled. Home has metal roof, Kitchen was totally updated with new custom cabinets, formica counter tops, refrigerator, cookstove, dishwasher stay with home. Home has a new front door, water heater installed in 2008, new air conditioner 2013. Backyard has chained link fence. One car garage. THIS HOME IS PRICED TO SELL!